Follow all Standard Operating Procedures as developed and implemented by YGCC. Follow all appropriate Work Instructions developed by YGCC in conjunction with its customers. Operate effectively in a team environment to achieve customer workload targets daily. Follow applicable instructions from your designated YGCC Village Captain. Execute Safe work practices at all times, ensuring that no YGCC (including yourself) team members or customer team members are put at risk of incident or injury. Sign In/Out upon commencement and cessation of work each day. Whilst operating Material Handling Equipment (MHE), ensure that you follow all Standard Operating Procedures and Guidelines and only operate MHE when fully licenced and approved to do so by our Customer. Follow any applicable instructions from designated customer representatives. Ensure specific Traffic and Pedestrian Management Plans are followed at all times. At all times ensure you are dressed in YGCC Hi-Vis Uniform, and conduct yourself in a manner that reflects YGCC positively. Arrive to work prior to designated start times. 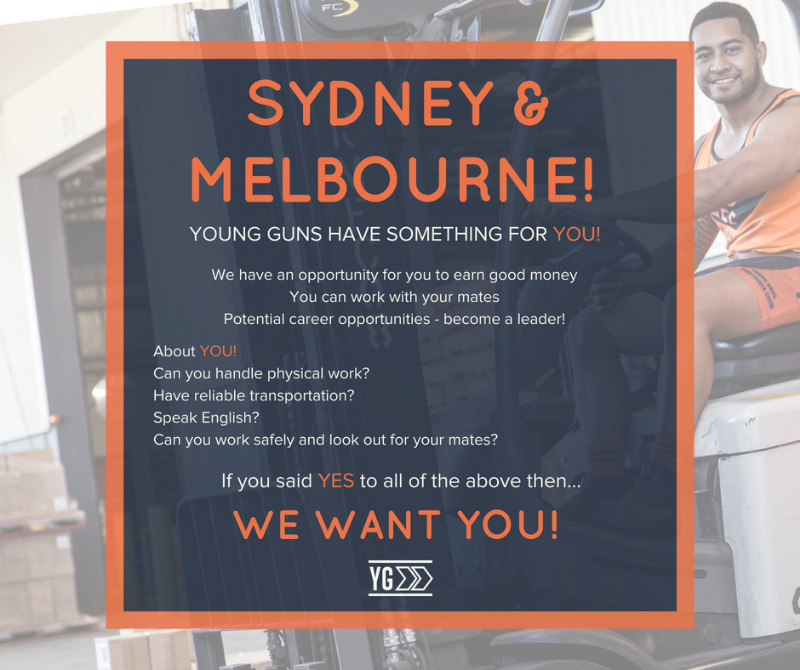 All YGCC team members are encouraged and expected to live up to all of the YGCC Core Values including No BS, 10/10 or Nothing, 1 Team 1 Dream and No Standing.